Download Filing an Arbitration Request here. Download the Request and Agreement to Arbitrate here. REALTORS® are obligated to submit to arbitration their commission disputes between brokerages in accordance with Article 17 of the REALTORS® Code of Ethics. 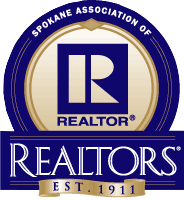 Hearings are conducted by the Spokane Association of REALTORS® Professional Standards Committee following procedures as set forth in the National Association of REALTORS® Code of Ethics and Arbitration Manual. The hearing panel, after hearing testimony, will render a decision and shall state only the amount of the award. The Award of Arbitrators is valid and binding and shall not be subject to review or appeal. If a party feels irregularities occurred in the conduct of the arbitration proceedings that may have deprived them of fundamental “due process”, they may appeal that to the Board of Directors of the Spokane Association of REALTORS®. REALTOR® Principals must participate in the process (unless the disputants are or were affiliated with the same firm, which would constitute a voluntary arbitration). The Request and Agreement to Arbitrate must be filed within 180 days after closing, if any, or within 180 days after the facts constituting the arbitrable matter could have been known in the exercise of reasonable diligence. The filing fee for arbitration is $150.00. Mediation of the matter may also be requested. Participation in mediation is voluntary and is provided at no cost to SAR members. SAR has a select group of Mediators that have been trained to serve as Mediation Officers and follow procedures as described in the National Association of REALTORS® Code of Ethics and Arbitration Manual. Mediation is an attempt to bring the disputing parties together in an informal setting to resolve their differences. The parties may agree to a mutual resolution of the matter or withdraw from the process at any time during the mediation conference. Any offers of settlement that were not accepted or any suggested resolution proposed by the Mediation Officer that was not accepted will not be introduced as evidence nor considered in any manner should the matter require arbitration. If the parties agree to a settlement of the dispute, and the settlement has been reduced to writing and has been signed by all the parties, the matter is deemed resolved and cannot be the subject of a subsequent arbitration hearing. Call the SAR office, (509) 326-9222, for further information.